Hilton is a leading global hospitality company, comprising more than 5,400 managed and franchised properties in 106 countries and territories. Hilton has a portfolio of 14 brands and an award-winning customer loyalty program, Hilton Honors. Hilton focuses on taking care of the heart of its business – its people – through its Thrive@Hilton program, a partnership with Thrive Global. It focuses on caring for the whole person, mind, body, and soul, through programs dedicated to improving sleep, reducing stress, increasing mindfulness, and encouraging great work through innovation and professional development. Another opportunity within the program is Thrive Sabbatical. Each year, 10 team members receive a four-week sabbatical with salary and benefits continuation, and a stipend of $5,000 to pursue a philanthropic project (Give a Dream) or achieve a personal goal (Live a Dream). This provides team members with the opportunity to give back to the community and enrich the lives of others through a philanthropic or volunteering activity of their choice. The company provides opportunities for unemployed young people to enter the workforce, with a goal to help a million people reach their potential by 2019. The program is called Open Doors and it is designed to give young people job and life skills, and experience with the hospitality industry. Since 2012, Hilton has committed $7 million to its partnership with the International Foundation for Youth (IFY) to improve the wellbeing of young people around the world and tackle youth unemployment. .
Find out about job opportunities at Hilton on its career page. "We embody the hospitality that we show to our guests. This allows for a very friendly culture. Our leaders are approachable and accessible and someone you can relate to. For being almost a 100-year-old company, we act like a start-up fostering and nourishing new ideas and innovation and being quick to market with those ideas." "This place is a great place to work because it allows you to be yourself and enjoy your time at work. Always a lighthearted feel that makes it stress free. I wake up excited to come to work because of my team." 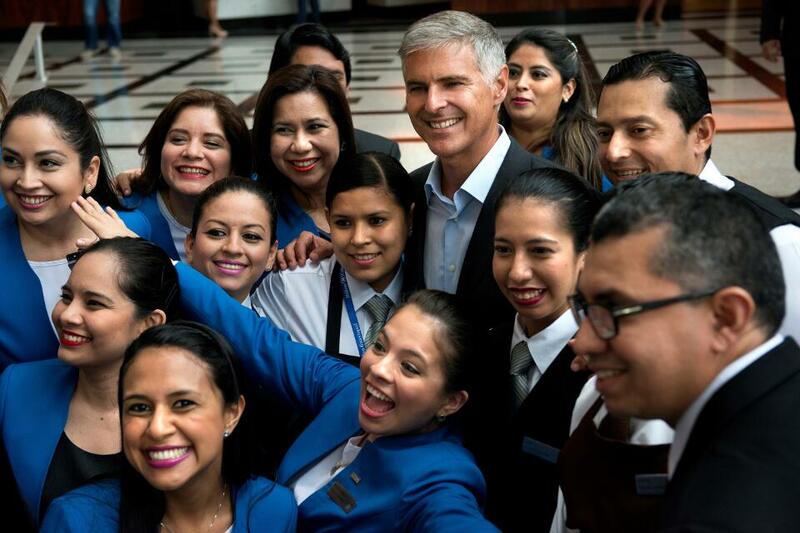 "Our Hilton family has strong connections, and I love the access to be friends with people among so many cultures and backgrounds."